The wellness industry is booming and holidays that provide people with services and facilities that enhance their health and wellbeing are growing in popularity. Hepburn Springs in Victoria’s spa country perfectly caters to people who want a healthy holiday or a weekend wellness retreat. Most accommodation is in easy, walking distance of high quality day spa facilities. 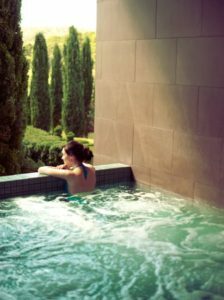 This is the first in our series of blogs in which we review prices, services and customer feedback at mineral spas within Hepburn Springs and Daylesford. Today we are reviewing Hepburn day spa deals and massage services. For over a century people have been travelling to Victoria’s spa country to experience Hepburn Springs mineral waters. These naturally occurring waters have travelled for many kilometres deep underground, absorbing minerals from within volcanic rock. Because they travel slightly different routes, the waters all have slightly different mineral combinations. The famous Hepburn Bathhouse, located in Hepburn Mineral Springs Reserve is the most well known destination for tasting and bathing in the waters and for enjoying spa treatments. 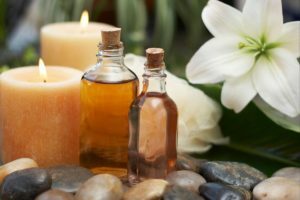 The cost associated with a visit to a day spa will vary depending upon whether you want to bathe publicly or in private and whether you want to have a massage, facial or other body therapy. We’ve provided some indicative costs on what to expect for bathing and massage services at The Bathhouse, The Mineral Spa and Acqua Viva Day Spa in Hepburn Springs. The Hepburn Bathhouse, located in Hepburn Mineral Springs Reserve is one of the most popular destinations for visitors looking for a luxury Hepburn day spa experience. The waters are heated to different temperatures in a range of pools, with steam, jets and relaxation couches. Communal bathing is in the original Bathhouse and The Sanctuary. The Bathhouse offers the Spa Pool and Relaxation Pool. Access for an adult for 2 hours costs $34 mid week and $44 (Friday to Monday and Public Holidays). The Sanctuary offers a Spa Pool, Salt Pool, Aroma Steam Room, Walk In Cool Down Pool, as well as a new outdoor creekside bathing experience and a Moroccan style Hamman. Entry to The Sanctuary for up to 2 hours (including the Bathhouse) costs $74 per adult midweek or $94 (Friday to Monday and Public Holidays). Luxury private bathing is offered in The Spa, as well as a choice of massage, body therapies and ritual packages. Men are also catered for with specific face and body treatments. Private bathing mid week begins at $89 for 30 minutes for 1 person and $125 for a couple. From Friday to Monday and Public Holidays the cost is $99 and $135 respectively. There are a number of different style massage therapies to choose from. A muscle focus massage for 1 hour mid week costs $155 and from Friday to Monday and Public Holidays, $169. Reviews on Trip Advisor are mixed for the Bathhouse, with positive reviews focussing on helpful staff, great treatments and the cleanliness of the facilities. Negative reviews focus on the crowded public bathing and the high prices for bathing with other people. 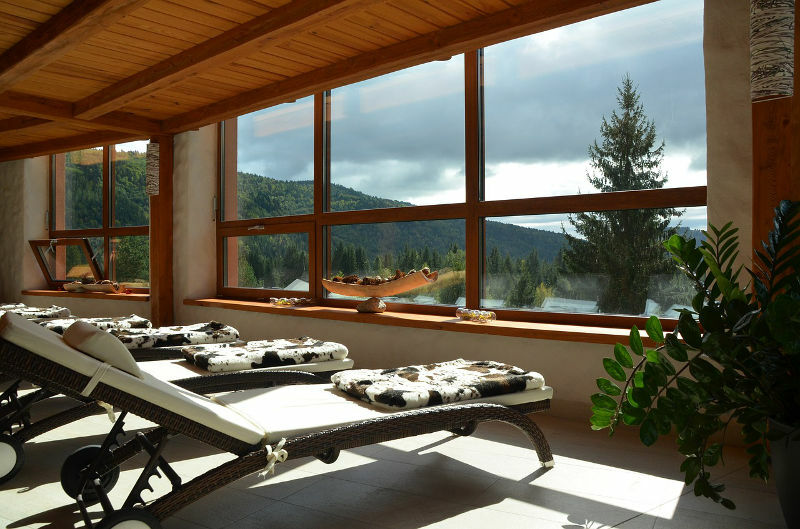 The Mineral Spa offers Hepburn day spa mineral bathing and a choice of luxury spa treatments. Private bathing at the mineral Spa is offered with a choice of herbal additions to the water. The cost is $80 for an adult for 30 minutes mid week and $85 Friday to Monday. Couples private bathings costs $115 mid week and $125 Friday to Monday. The Retreat offers two 37 degree mineral water spa pools and a cool water plunge pool to stimulate circulation. There is also a wet steam room and an infrared detox box. The Retreat offers communal bathing, but a maximum of twelve people are permitted in the area at one time. It is less busy mid week and guests can call in advance to find out how many people are booked in their time slot. Access to The Retreat is for 1 hour or 1.5 hours. Mid week it costs $65 for an hour or $70 for 1.5 hours. From Friday to Monday and Public Holidays the cost is $85 for 1 hour and $90 for 1.5 hours. From 6 – 9pm on a Friday and Saturday evening Twilight bathing is available for $70 for 1 hour. A massage at the Mineral Spa for 1 hour costs $130 mid week and $140 from Friday to Monday. Reviews on Trip Advisor are overwhelmingly positive with praise for the treatments, as well as the staff. The final Hepburn day spa in our review is Acqua Viva Day Spa, which is located at the entrance to the Hepburn Mineral Springs Reserve. This is more of a traditional day spa on a much smaller scale to the Bathhouse and the Mineral Spa. Acqua Viva offers mineral water bathing in a private gazebo for $85 or $115 for a couple. A range of massage and body therapies, facials and body wraps are also available. A 60 minute massage costs $120 and Acqua Viva also caters for couples massage. Reviews on Trip Advisor are mostly positive. Negative reviews focused on dissatisfaction with the quality of massage and disappointment with basic mineral spa facilities. Not everyone wants to book in for a Hepburn day spa experience. For some, the priority is complete privacy and the flexibility to bathe in luxury onsite in their accommodation. This allows bathing for as long as you want and it doesn’t cost any more than the cost of accommodation. Some Hepburn Springs luxury accommodation, like Hepburn Spa Pavilions, offer luxury hydro spa baths onsite. To enjoy a day spa experience in the privacy of your own Hepburn Springs accommodation, we suggest booking a mobile massage service, where a qualified masseur will come to you. Saffron and Horizon offer architect designed, luxury in-house spa accommodation in Hepburn Springs. These twin spa villas are located in the centre of Hepburn Springs, overlooking the beautiful historic Hepburn Mineral Springs Reserve. Both offer completely private bathing in a huge double hydro spa set within a highly luxurious bathroom with a curved, shimmering mosaic wall. Stay tuned for our follow-up blog on day spas and massage deals in Daylesford.